Banaras is the city of Lord Shiva, who is better known as Mahadev. The city has been the center of culture, tradition and art forms. Banaras is a civilization older than humanity. It possesses more vibrance than the entire universe. Hence, it is known as the spiritual capital of India. Secularized by different faiths, artists have divided the ethnicity of this pious land in the form of their arts. Banaras has seen artists portraying its serenity and sanctity in their works of art. In this way, they have uplifted India’s cultural heritage. The art of painting has an old connection with Varanasi. If you travel to Varanasi, you will find a lot many art galleries waiting for you. Most of the paintings have Varanasi’s aesthetic ghats and Lord Shiva, which give peace and solace. The running water in the paintings inspires hope and continuity, while the religious proceedings symbolize the holiness of Varanasi. With the passage of time, the art of painting developed in Varanasi. There are many young artists, who have emerged from Varanasi by way of their paintings. The photographs of the oldest living city, Varanasi, capture the beautiful ghats, narrow galis, aarti by the sunset, boat rides, cool sadhus, and couples romancing. Varanasi is the photographers' paradise. The city of Banaras has stayed timeless ever since. Presently, a lot many photographers visit Varanasi for a photo walk. The openness and proximity to death which this spiritual capital of India lives with are inspiring. 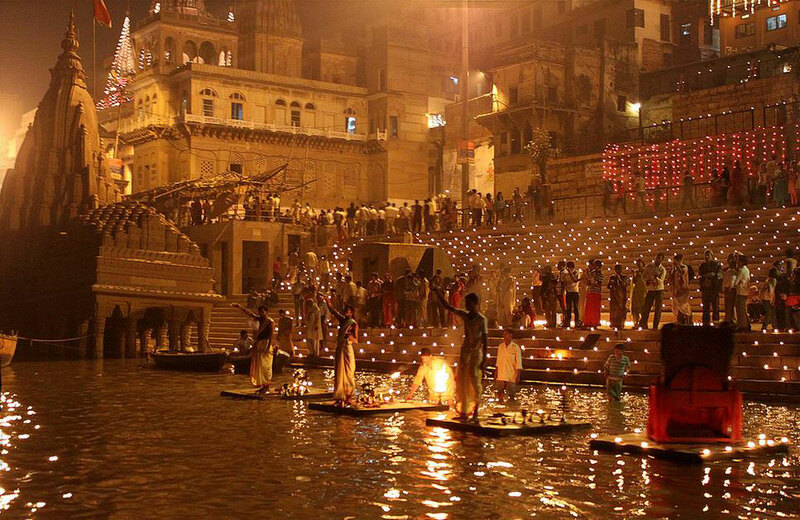 Varanasi has given many photographers to the world and this art form is going to make Banaras immortal. The Varanasi city has given prominent writers like Kabir, Ravidas, Tulsidas, Kulluka Bhatt, Bharatendu Harishchandra, and Jaya Shankar Prasad to India. Many stories and novels are centered around the city of Banaras. Shiv Prasad Mishra, Kashi Nath Singh, and Shiv Prasad Singh are the three noteworthy writers who wrote short stories and novels centered on the city of Varanasi. These literature works give an insight into the traditional value associated with Varanasi. Sculpting is an old and unique method of giving shape to the uneven natural stone. Varanasi has its own distinctive style of stone carving. The best stone sculpture can be seen at Kashi Vishwanath Temple. People from across the globe come down to Varanasi for taking up sculpting lessons, courses, and training, for the same reason. Many artists in Varanasi produce Banarasi sculpting artworks, which have epitomized the splendid Indian sculpture. 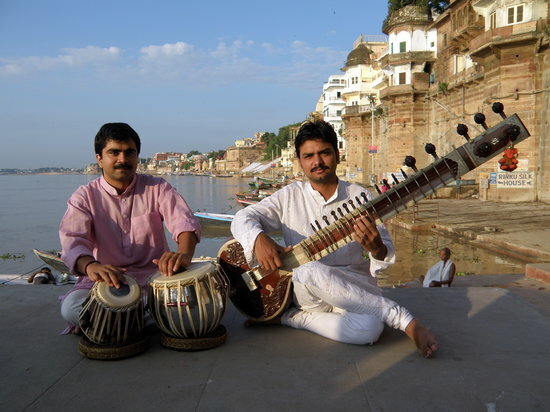 Varanasi has also been the hub of music since its existence. Various rulers have patronized music in Varanasi. Till date, the unassuming network of lanes in Banaras contains the 'mohalla of musicians'. The greatest musician families have thrived in Banaras and some of the prominent music artists from Banaras are Girija Devi, Samta Prasad, Bismillah Khan, Lachhu Maharaj, and Pandit Ravi Shankar. Music flows in the air of Varanasi. While painting, sculpting, photography, music, and literature sum up the artistic treasure of Varanasi, handicrafts from Banaras are also pieces of art. Artists pour their hearts out while designing the handicrafts, making them a thing of beauty and hence, a joy forever. Having said so much about the artistic treasure of Varanasi, there are art walks in the city to support and uplift the same. The art walks of Varanasi are a way to get to know new areas and what makes them special. They promote the art and culture of Varanasi, by entrusting enthusiasm in the budding artists. Either with standalone canvas or a few lines, works of art have always contained the essence of Banaras. One such art walk is being organized in Varanasi, with the name - 'Kashi - Ek Khoj'. Abhishek Mukherjee, Yash Sharma, and Aniket Mridha, three proud dwellers of Banaras and great artists themselves, came together to bring ‘Kashi - Ek Khoj’ Art Meet to life. The sole purpose of the meet is to encourage the art enthusiasts in the Varanasi city. The ‘Kashi - Ek Khoj’ Art Meet is one of its kind art gathering in the Varanasi city. It invites artists of all art forms of Varanasi, thus distinguishing itself from the other art walks. All participants of the ‘Kashi - Ek Khoj’ Art Meet shall gather at the starting point of the two-hour long walk. The starting point is Manikarnika Dwar, Chowk, Varanasi, at 6 in the morning. The art walk shall take all artists into the streets of Varanasi, where they will explore the unseen side of Varanasi. The artists will follow the designed route and reach the end point of the art walk, Vishveshwarganj, Varanasi. After the completion of the walk, the artists shall portray whatever has touched their heart during the walk through their artwork. ‘Kashi - Ek Khoj’ Art Meet aims to bring various forms of art such as Photography, Literature, and Paintings under a unified platform. On completing their artwork, the participants have to post a photo of their work on Instagram. They have to use the hashtags, which have been provided to them by the organizers. The best 3 selected works from the three streams, Photography, Literature and Paintings, will be awarded. Besides the top 3 awards in each stream, there is a 'Trendsetter' award from the team of Feeding Trends. The 'Trendsetter' shall be the person whose artwork goes trending on Instagram and is loved by our team. The two things which must be taken care of are as follows. First, the artwork should present the beauty and essence of Varanasi. And second, it must be posted with all the hashtags (including #FeedingTrends) on Instagram. The enthusiasm for the art gathering will be reflected in the huge footfall. Let us meet on the day of the ‘Kashi- Ek Khoj’ Art Meet, which is 22nd September 2018. If you are an artist and have a chance of being in Varanasi on this day, make sure you attend it. We are eagerly looking out for the 'Trendsetter' at ‘Kashi - Ek Khoj’ Art Meet. To register for ‘Kashi- Ek Khoj’ Insta Art Meet, click here. Time For Lucknow Mahotsav 2018 – Lucknow Bula Raha Hai Sabko! Shirley Setia, Guru Randhawa, Javed Ali, Pawan Singh, Malini Awasthi are also coming! And inspire you to set out with your camera! Kids of Mother India you see!